For many B2B companies, the contact page will be one the most visited pages on your website. The traffic is great, but the goal should be to get them to convert and fill out that form. 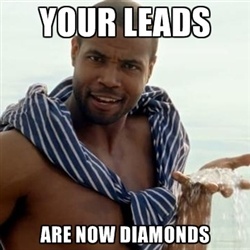 This counts as a lead for your business and possible revenue! Here are some tips on how to present your website contact form to potential leads in a way that encourages them to convert. 1. Make the contact section/form easy to find. This is a no-brainer, but there have been times when I have had to dig for this or, it's not there at all. You want me to contact you, right? Don't you want my business? My preference is in the main navigation, and generally you'll also see the contact page linked to the website's footer. 2. You could also include some calls to action throughout your website that helps to persuade the user to fill out your contact form. Think strategically about this, if a person is visiting a product page, your main conversion should be to get them to purchase or inquire about a product. But if they are checking out your About Us page or your Case Studies/Portfolio section, they are interested in you and your work, funnel them over to your Contact page from these places. 3. Give me some options, please. I am not a phone person - I am a contact form or email person. Some people would prefer to pick up the phone than fill out a form. Make sure you give your users a variety of options to fit their needs. For example, on your contact page include a contact form, phone number, and physical address. 4. Websites for larger companies tend to have multiple departments. In this case you may want to funnel your contact inquiries properly - to sales, customer service, technical support, billing etc. This is not only convenient for your site visitors but also helpful to your company internally, saving time on transferring calls to the correct departments. 5. We said we want conversions, right? So if a user lands on your contact page, give them reasons why they should contact you. For example, maybe your business sells inventory management software, your contact us page could offer the visitor, "Contact us today, using this simple form below, to help manage your inventory more efficiently." Possibly, you offer more than one product or service - offer up some basic reasons why your site visitors should contact you. That will help prompt them to complete your form. BONUS TIP! What happens after I contact you? Make sure you offer some copy on a thank you page that will be presented to all those that filled out the form. Let them know you appreciate their submission and what to expect next. Will someone follow up with me? How long will it take to hear back? Don't leave your new lead hanging, give them information so they feel confident in their contact submission. After all of this is said and done and you've implemented a strategy to get users on your website to fill out your contact form, please, please, please, do me a solid... No, do yourself a solid and make sure you're tracking those conversions. Why put all this thought behind getting people to fill out the form if you're not tracking it? Make your website work for you, it can be one of your best sales and customer service tools. Think about your business objectives and align them with the conversions you present on your website. If you want potential leads and even current customers to be able to contact you, make this process easy and painless for them and ensure it works for your internal staff process as well.